Have you ever heard of the Altimatums card game? It’s Nissan’s brand new game that you play on the road, with a name inspired by the 2016 Nissan Altima. The unique promotional tool was developed by Nissan and game-makers TBWA\Chiat\Day LA in order to help the Altima appeal more to a younger age demographic — more specifically, millennials. With game mechanics inspired by popular millennial games such as Truth or Dare and Cards Against Humanity, Altimatums is designed to make car rides with your friends more entertaining. Physical copies of the Altimatums card game were available on Nissan’s website and handed out at events, but the promotion has ended online. However, you can still get your hands on the game in the form of a free downloadable PDF file available on the website that you can easily print and cut out. Nissan plans some serious Altima midcycle changes including an appearance redesign. Nissan is reportedly planning substantial Altima midcycle changes for the 2016 model year to keep up with the recently-refreshed Toyota Camry. 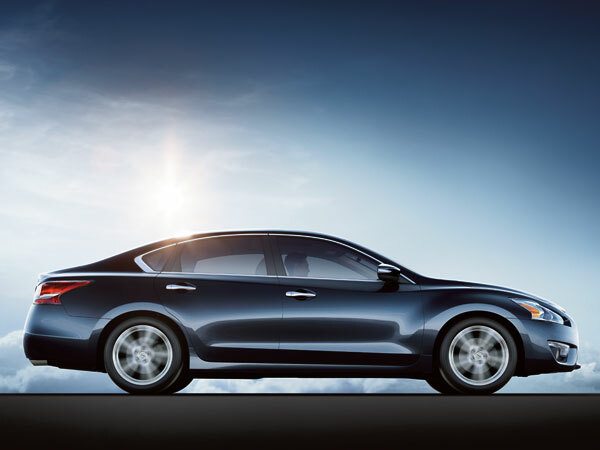 For the 2015 model year, the current Altima had been updated with new standard content like NissanConnect with Navigation and Mobile Apps, Blind Spot Warning, Moving Object Detection, Lane Departure Warning, and several other tweaks and bonuses. 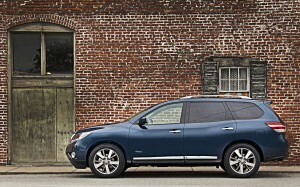 Its appearance had remained unchanged, however, something that Nissan intends to address with this midcycle refresh. 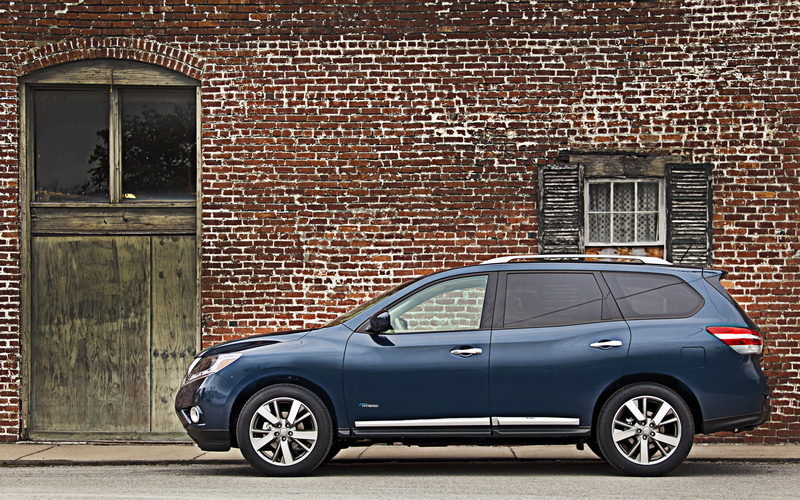 Pierre Loing, Nissan North America’s vice president of product planning, said they were planning something “significant” for the Altima midcycle, though he declined to mention what kind of changes exactly. We at James Ceranti Nissan look forward to seeing what Nissan comes up with! What Should You Keep In Your Trunk? If you’ve ever watched a scary movie, you know that the car always breaks down in the middle of the woods right before a storm and your cell phone isn’t going to work. Thankfully, cell phone towers are pretty strong nowadays, and most scary dark roads aren’t on your way home, but it’s still smart to be prepared in case of an emergency. There are a few things you should always carry with you. Probably one of the most important things you can have with you is a good flashlight. With battery-less options out there now, you won’t have to worry about them going dead (like they do in those same scary movies). Check out wind-up emergency lights that also have built in red blinkers to signal for help. If you do prefer to have a flashlight with batteries, invest in a Maglight® . Not only are they super powerful, but the heavy weight can be used as a weapon if need be. 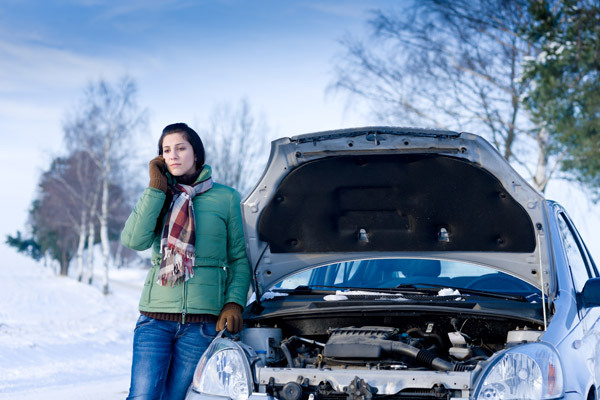 Jumper cables better be hiding in your trunk as well. While you may have a membership to a company like AAA, a quick jump from a friend could save you a lot of waiting time. Just make sure you know how to use them safely. Remember- positive to positive (red to red) and negative to negative (black to black). Trust us; you’ll know if you do it wrong. Lastly, pack a little survival kit just in case you are stranded for a while. A few water bottles, packets of crackers or imperishable food, a blanket and a jacket could make a huge difference for you if you end up staying the night in your car. Whatever else you have rolling around the trunk of your Nissan is up to you, but make sure to have these things handy and you won’t regret it. With great cargo space, the Altima would make for an easy travel companion and leave plenty of room for the less important stuff, like those shoes you kicked into the back one day and forgot to take out….. Just remember to watch out for those ax murders on dark and stormy nights! 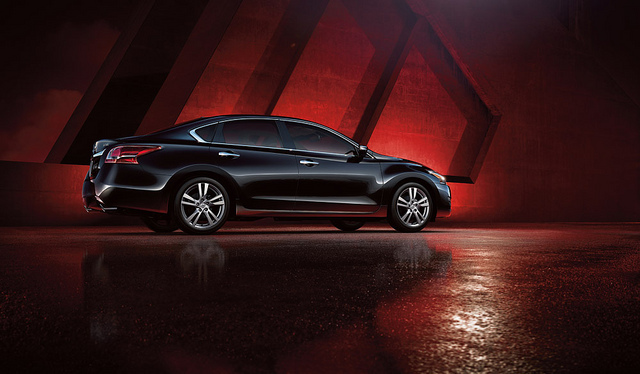 The 2013 Altima has done it again! 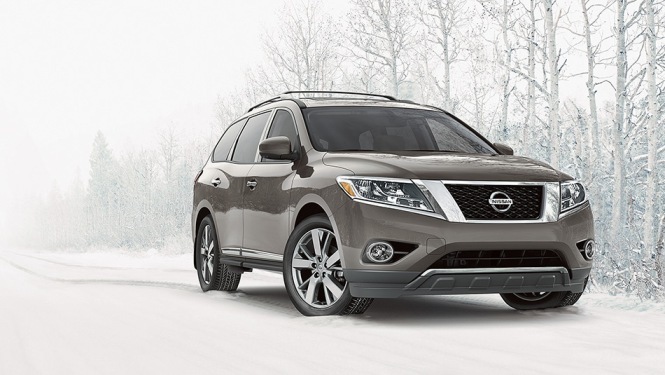 Since launching in 2012, Nissan’s completely redesigned midsize sedan has received numerous awards and accolades. Recently Altima earned another title to add to its already impressive list as it was awarded ‘Best New Model’ in the $25,000-$30,000 price range by Kiplinger’s Personal Finance. Kiplinger has been a trusted source for personal finance and business forecasts for years. Annually, the online source combs through hundreds of vehicles to award the best values in its yearly buyer’s guide. Winner of these awards are ranged by price, performance, safety, roominess, value, and driving impressions. 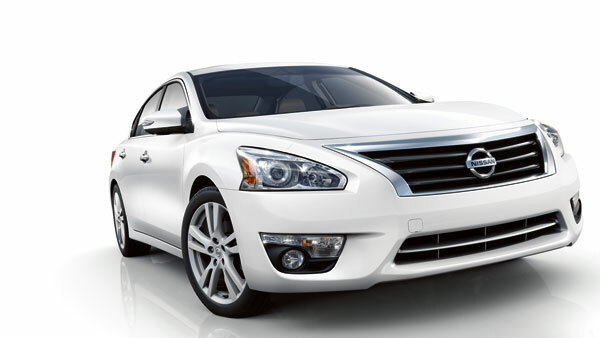 Find the stylishly award-winning 2013 Altima now at James Ceranti Nissan. Visit our Greenville, MS dealership for a test drive today! Learn more about Altima and other great Nissan vehicles online at www.jamescerantinissan.net.